Clinton Foundation Would Spin Off Major International Programs If Hillary Clinton Becomes President The foundation would give up its most recognizable parts, including its major global health and wellness programs. 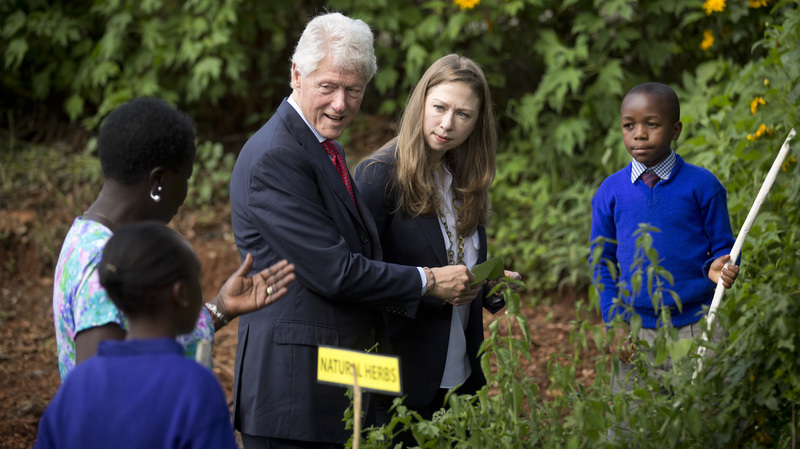 The Clinton Foundation is working now to "spin off" or "find partners" for many of its programs, including all international activities and programs funded by foreign and corporate donors, the head of the Clinton Foundation told NPR's Peter Overby. The "unraveling," which would be an attempt to prevent conflicts, would go into effect if Hillary Clinton is elected president. It will take time to make the changes to each of the foundation's affected programs, said Clinton Foundation President Donna Shalala. "This kind of unraveling has to be done with a scalpel so that we just do not hurt people, and do not interrupt the very good work that's being done," she said. 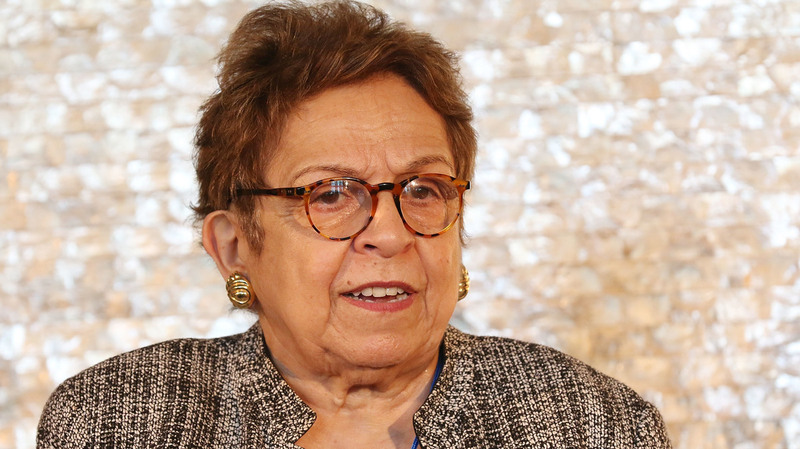 Many of the foundation's programs would become separate non-governmental organizations "without us participating in the governance obviously," Shalala said. Partner organizations, she said, would also "continue the work that was started by the Clinton Foundation." Founded by President Bill Clinton, the foundation has become a major player in international health and global philanthropy. In 2014, the Clinton Foundation reported $439 million in assets and $338 million in revenue, with $217 million spent on programs. Donna Shalala is head of the Clinton Foundation. But it has also been heavily criticized for potential conflicts with the State Department under Hillary Clinton's leadership. Released emails have shown some efforts to connect donors or associates at the foundation to personnel at the State Department. The foundation announced last week that if Hillary Clinton were to be elected, Bill Clinton would step down from the foundation board and it would stop accepting money from foreign and corporate sources. Shalala said Chelsea Clinton would remain on the board. Shalala insisted the changes are not a reactionary move. "We're not responding to the outside criticism," she said. "I was brought in a year ago to help start thinking through what the form would take if she was elected, and the president wanted to do it very carefully." The Clintons could have avoided conflicts by letting an independent board of directors oversee decisions, said Leslie Lenkowsky of the Center on Philanthropy at Indiana University. But, he said, he hasn't seen any clear evidence that foundation donors got more than small favors from Hillary Clinton's State Department. "Unless it really gets to affecting public business, you know, it's not nice to look at and the donors shouldn't do it," he said. "But you know, it happens all the time." Bill Clinton "will not be involved" in the initiatives that are spinning off or merging with another foundation, Shalala said. He also would not do any fundraising for the foundation. So what would remain of the foundation? "We have some things that are funded by American foundations," Shalala said. She also pointed to the presidential library and Clinton center in Little Rock, Ark. "There are elements of the Clinton Foundation that people often don't think about that stay forever." If Clinton wins the election, Bill Clinton will not have any official connection to the foundation, Shalala said, but "I'm sure he's going to go visit his library."